I have my own highlights, among them: producing a series on D.C.’s unemployment divide; asking why the local crime and punishment museum hires black men to wear prison jumpsuits; exploring what’s behind rock bands playing D.C.’s Ethiopian restaurants; andÂ writing about gentrification — a lot. I’m also grateful that I’ve been able to share some personal stories about identity. I hope you’ve enjoyed reading my posts at least half as much as I’ve enjoyed writing them. This beat has been challenging, too. Race and class can be loaded, emotionally-charged topics, and they typically come with broad declarations of what’s right and wrong. I’ve learned a lot in my time here, but above all,Â it’s that things aren’t usually cut and dry.Â I hope meaningful conversations about these issues continue to happen in D.C., and that they grow in number. Such discussions will be important as we figure out how to navigate all of the changes our city is going through. And finally, of course, I’d like to thank toÂ you,Â the readers.Â I strongly believe in DCentric’s mission: to explore race and class and open up a space for elevated discourse. If I’ve had any success here, it’s in large part to the readers.Â Thank you for following my work, questioning it, offering insightful comments and contributing to this ongoing conversation, whether in person or over Twitter.Â I’m moving on, but stay in touch. Seriously! The foreclosure crisis, lack ofÂ accumulated Â wealth and the role of a college education in boosting job prospects have all contributed to the decline of the black middle class. Another big factor: cuts to government jobs. Much of the black middle class was built upon public sector jobs, which for decades allowed African Americans to circumvent discrimination in the private sector. What Republicans call an attack on “big government,” many blacks see as an attack on their livelihoods, given theirÂ heavy reliance on the public sector for employment. D.C. may be considered the best place in the U.S. to find a job, but not everyone is faring well in the current economy.Â HomelessnessÂ is on the rise in the District, according to the results of an annual survey released Wednesday by theÂ MetropolitanÂ Washington Council of Governments. HomelessnessÂ has been on the rise since the start of the recession. 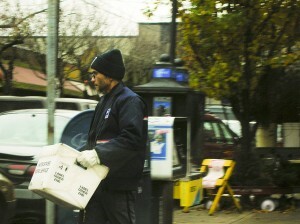 Large swaths of the city have chronic, high unemployment rates. Affordable housing is disappearing in D.C., with the median rent for a one-bedroom apartment having increased from $735 to $1,100 over the past decade. â€œYou know, I catch myself crying. I get really depressed .â€‰.â€‰. itâ€™s been heartbreaking,â€� Walton said. Coolidge is a Title 1 school, meaning a high percentage of its students come from low-income homes; 64 percent of the student bodyÂ qualifiesÂ for free or reduced lunches. DeSario said manyÂ of her students don’t have access to technology, and that the using the tablets helps them develop good, online research skills. DeSario has seen increased class participation and better grades from some students after they starting using the tablets. “They’re so much more engaged,” she said. 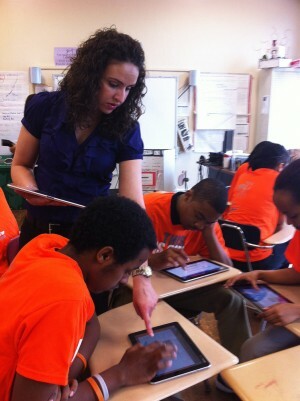 Senior Lidya Abune said using the tablets has been useful, for both class work and in preparing for college. That’s not uncommon in the District, whichÂ has a clear digital divide.Â Many people in low-income neighborhoods are not connected to high speed Internet. Principal Jarrett said many students go to the library to use computers. She’d like to see the tablet program expand, which can pose an interesting alternative to standard computers. For one, they don’t require much space and they can be cheaper than desktops, she noted. The pilot program, which is at eight schools in D.C. and Maryland, is one that Verizon hopes to eventually expand. The Verizon Wireless program may provide some support in helping these students get into college. But there’s still the matter of how to pay for it. The cost of college has gone up dramatically — it’s tripled over the past three decades — and it’s increasingly becoming out-of-reach for the middle class, too. Abune said she received help in fill out theÂ Free Application for Federal Student Aid and didn’t know a lot about the college application process. Her family “couldn’t afford it, but I really wanted to try and go to a good college.” She’ll be at BucknellÂ UniversityÂ in the fall on a full scholarship. Others have applied to scholarships, but are prepared to take on student loan debt, such as senior Zenayda Berrios. She’ll be attending Bennett College, where tuition, room and board comes to about $24,000. The high cost isn’t deterring her from pursuing a degree inÂ psychology, though. Principal Jarrett said her approach is to not let the cost of college get in the way of students’ ambitions to attend. “We encourage them to go for college, and then we’ll worry about paying for it,” she said. Figuring out how to pay for post-secondary schooling will likely become a big issue in the District; a new D.C. measure requires all high school seniors to take a college entrance exam and apply to a college or trade school in order to graduate from high school. The overarching story of gentrification in D.C. has been told time and again by local and national news outlets. But international media are increasingly picking up on the story. Last month, official Iranian international news agency PressTV covered demographic changes in D.C.Â And today, French news agency and wire service Agence France Presse has its own D.C. gentrification story, with much of the narrative focusing on H Street NE. The achievement gap between white and minority students is due to all sorts of factors, including income disparities. But the way teachers treat students of different races could play a role.Â Consider this: white teachers give more positive feedback to black and Latino students than they give to white students for the same work,Â according toÂ a study led by Rutgers University and published in the Journal of Educational Psychology. Over-praising students of color could leave them under-challenged since they don’t feel pressure to achieve beyond low expectations. â€œThe social implications of these results are important; many minority students might not be getting input from instructors that stimulates intellectual growth and fosters achievement,â€� notes Harber. â€œSome education scholars believe that minorities under-perform because they are insufficiently challengedâ€”the â€˜bigotry of lowered expectations,â€™ in popular parlance,â€� he explains. â€œThe JEP study indicates one important way that this insufficient challenge might occur: in positively biased feedback,â€� according to Harber. After weeks of speculation as to whether D.C. Caribbean Carnival will take place because ofÂ financialÂ woes, the show will go on. Well, sort of. 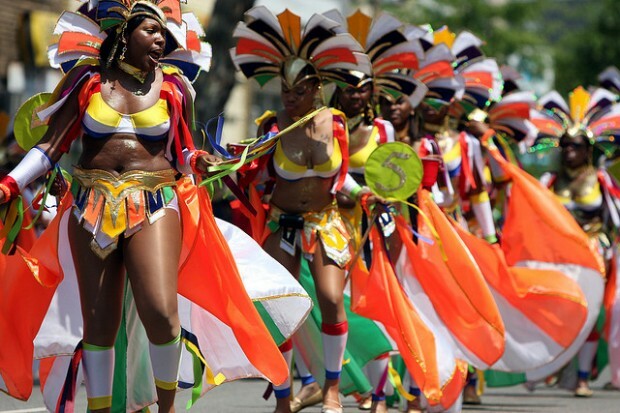 The parade that typically marches down Georgia Avenue won’t be in D.C. this year.Â Organizers announced that the D.C. event will join with Baltimore’s annual Caribbean Carnival/Festival for a parade taking place July 14 at Baltimore’s Lake Clifton Park. The annual parade has been cited as a boost for businesses up and down Georgia Avenue, many of whom protested last year when the route was cut short (again, due toÂ financialÂ troubles).